With the success of the big game tube flies, we had requests for similar patterns in smaller versions. So we created a series of 4&rdquo, and 5&rdquo, flies for midrange and inshore species. These flies are sold as a single tube with a popper head on the tube. We have also used these for freshwater fish with success. 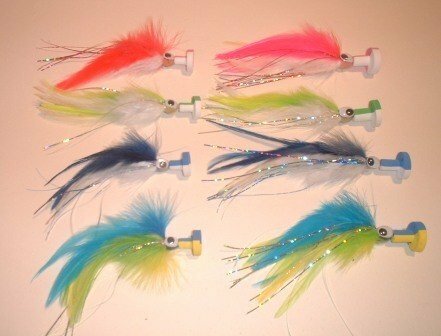 They can be fished with or without the popper.&nbsp,Midrange flies rigged with 2/0 hooks for the 4&rdquo,, 4/0 hooks for the 5&rdquo,.&nbsp,Colors: pink, blue, dorado, key lime. 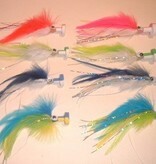 &nbsp,This size is very popular in our Islamorada Sailfly tournament, held each January.